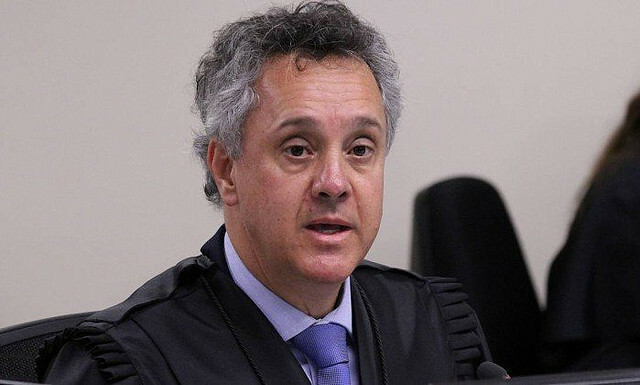 The court of appeals judge João Pedro Gebran Neto, rapporteur of the Tríplex case in the Federal Regional Court of the 4th Region (TRF-4), was the first one to vote in the trial of former president Luiz Inácio Lula da Silva’s trial in the court of appeals within the Operation Car Wash. The judge increased the former president’s sentence from 9 years and 6 months to 12 years and 1 month of incarceration. The vote was declared after 3 hours and a half reading the decision, closing around 2pm, this Wednesday (24). After a one hour break, the session resumed for the reviewers Leandro Paulsen’s and Victor Luiz dos Santos Laus’ votes. In his vote, Gebran Neto did not take into account Lula’s defense arguments. The court of appeals judge rejected all the preliminaries of the defense and reinforced the Federal Public Ministry’s theory, in which “indications are not minor proofs”. In his reading, he shared the understanding of the Fact Domain Theory, which assumes that Lula would have committed a crime simply due to his position as president of the country, even if there are no proofs against him. The lawyer Patrick Mariano, from the National Network of Popular Lawyers (Renap), considered Gebran Neto’s vote as a “shame”. “Whoever was patient enough to follow the vote must have been terrified. Terrified by the level that the Brazilian Judicial power reached. A court of appeals judge will have a major role in the upcoming elections with that level of theoretical debate and argumentation. He defended the first instance federal judge Sergio Moro and the coercive conduction of the former president. This is of such low standards and unprecedented stupidity. It is similar to justifying torture”, he argues. The rapporteur’s declarations on the case were based fundamentally on testimonies, a method that has been contested by the former president’s defense attorneys. Gebran Neto also repeated Moro’s posture of strengthening a hypothesis seen as possible - but never proved - by the prosecution. “It seems singular to me that there was a second visit to verify the remodeling of the apartment. This fact, in my view, solidifies the prosecution’s theory, once it corroborates a lot of what has been previously stated here”, he stated. Therefore, interpreting facts and testimonies according to a predetermined thesis, conviction is turned into proof. “All the argumentation does not have any rationale, it is all based on subjectivities. A vote supported by hearsay. Nothing beyond subjectivity, only impressions and opinions. He acted as a spectator in a soccer match. His vote was an opinion,” highlighted Patrick Mariano. After a one hour break, the session resumed in the TRF4 for the two remaining votes.